Plato’s birthplace and time are not known but it has been estimated between 427/428 B.C. Athens, Greece. Born in the era of ancient philosophy, Plato is one of the world’s most recognized philosophers of classical Greece. He was the student of Socrates and teacher of Aristotle and was immensely influenced by the philosophical approach of his master, Pythagoras, Heraclitus and Parmenides. Plato was the establisher of the Academy of Athens, the first institution in the west to provide higher learning. Plato believed that education is necessary in order to achieve the best for the society and as an individual, to fulfill the requirements to form basic intelligence that polishes one’s abilities to excel in life, for according to Plato, ‘excellence is virtue’. He is considered to be the most important and vital figure in the western philosophy due to his contributions to the development of the western tradition. 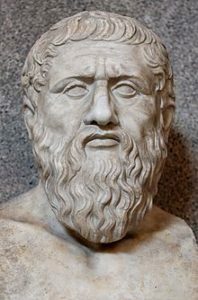 While Socrates was continually occupied with interpreting philosophy based on human reasoning, Plato indulged himself in combining the two major approaches – pre-Socratic metaphysics and natural theology with the Socratic ethical theology which became the basis of the western philosophical tradition. His writing included arguments and discussions on politics, philosophy, theology, cosmology, language philosophy, epistemology, aesthetics, etc. ic Love’ by the modern philosophers. Western Religion and concept of spirituality were discovered and influenced by Plato. He traveled to places like Egypt, Cyrene, Sicily, Italy in order to gain more knowledge, observe and have a better understanding of the world. At the age of 40, he returned to Athens to establish one of the earliest Academy in the Western Civilization. There are various sources of different opinions and assumptions of Plato’s death, but the true reason is unknown. Plato’s is remembered for influencing the world with the variation in his knowledge and theories he left behind, that are still studied in the modern day world.